For two weekends in August (4–5 Aug, 11–12 Aug 2017), Singapore’s Civic District comes alive with art, light, sound – and you’re invited! 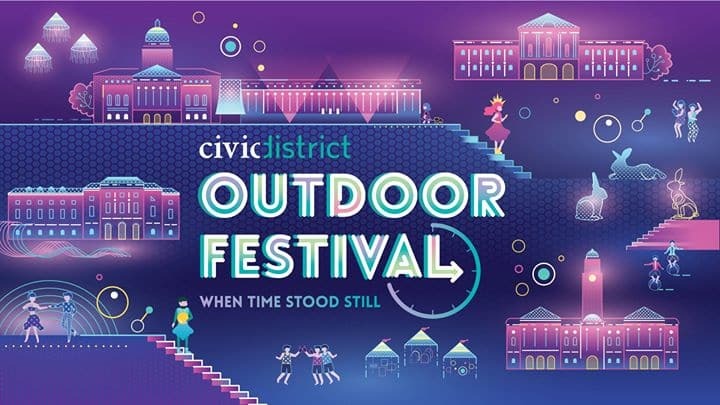 With a theme of “When Time Stood Still”, the Civic District Outdoor Festival features a projection trail titled, “Hemara’s Dream”, that follows the journey of two siblings, Hemera and Aether as they embark on an adventure to save Time itself. The entire trail will be projected against the heritage monuments of the Civic District – National Gallery Singapore, The Arts House, Asian Civilisations Museum and Victoria Theatre and Concert Hall. Don’t miss out on other fun activities such as the Picnic on the Padang, Aether’s Art Market on the Empress Lawn, entertaining music and theatre performances as well as the delectable Hemera’s Feast which will be a food street of your favourite foods! Don’t miss out on the festival extravaganza of the year! See you at the Civic District Outdoor Festival starting 4 Aug 2017! Follow us for more updates!